One of the biggest compliments a designer can get is when a client calls to work on another project with you. It means you’ve done your job and they are back for more fun! This new bedroom started with an email subject “Expecting Another Baby!” and I was thrilled to read that the clients who I designed a nursery for in 2016 were having another girl, so #1 daughter was getting a new room so #2 could enjoy the nursery. Step One - the initial consultation is always the first step in any design project. I get to see the space, take photos (and measurements) and we talk about the client’s wish list for their new room. Here is what we we were starting with. A boring guest bedroom/office with a bed the client’s that needed to stay. Hmmm, that’s going to be a challenge. Step Two - the theme was going to be mermaids, but I don’t like to design theme bedrooms. I wanted to give my clients something they could use for years to come and only change out a few things when tastes change. And believe me, a girl’s taste will change! The client also wanted to do a painted mural on the wall, but I came up with a better plan that was less expensive and they can take with them to the next house. Below is a screenshot of my client’s Pinterest board. I spent the next few weeks taking all of these ideas and putting together the perfect design plan. Step Three - my favorite (and most nerve wracking) part of any project is the presentation. This is the day my client gets to see my vision for their space. We walk through each element and make decisions. Everything is laid out and depending on the size of the project, these meetings only last 1 to 2 hours. We make it so easy for our clients! We first reviewed the furniture plan. The window nook was the perfect place for the dresser and we lined one of the walls with bookcases and a toy box. We decided to only use mermaids in one of the fabrics, most of the art and in a few special accessories. I also specified ready-made bedding so there was no worry about shoes or snacks in bed. I usually don’t specify all the main furniture pieces from one manufacturer, but in this case it worked. I loved the modern “Jenny Lind” design and the colors were so fun. We kept the dresser white so it could be used long term, but decided to use turquoise for the bookcases and end tables. The toy box would be custom painted and a cushion added to the top to create a perfect spot to curl up with a book! As I said earlier, the client originally wanted a custom mural on the wall behind the bed. I proposed that we paint fish scales on removable wood panels that we could hang and when the clients moved or just wanted to change things up, the panels come right down. I reached out to my friend and very talented artist, Kelly Pettit, to help me with the panels and the toy box. Needless to say, she went above and beyond my expectations! Step Four - once the selections were finalized, it was time to place the orders. Good design takes time! I can’t stress this enough. Just for this small bedroom, we had over 50 items to order, shop for and/or design. 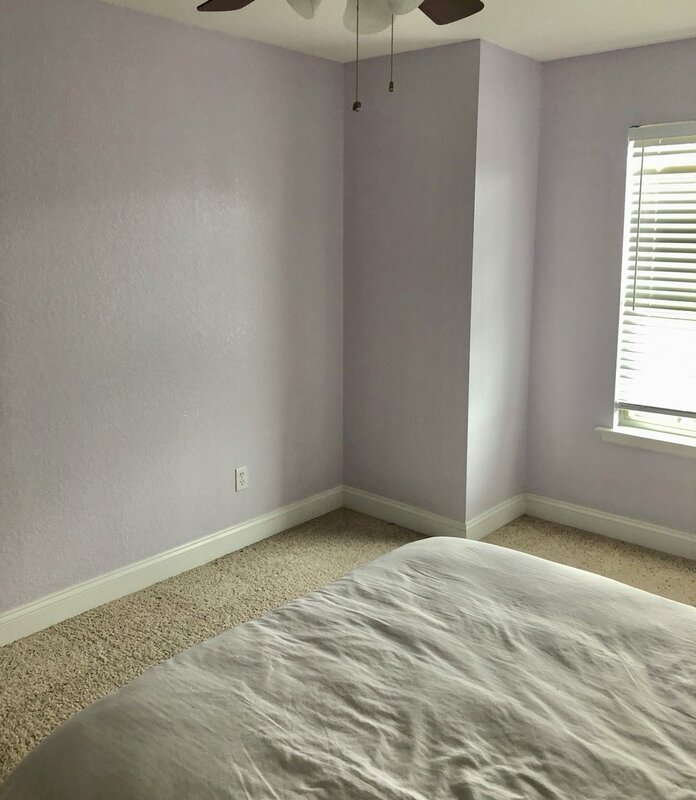 In the meantime, we sent our painter in to get those boring beige walls changed to lavender and started on the sample boards for the fish scale panels. Step Five - the installation day has finally arrived and this is where the magic happens! 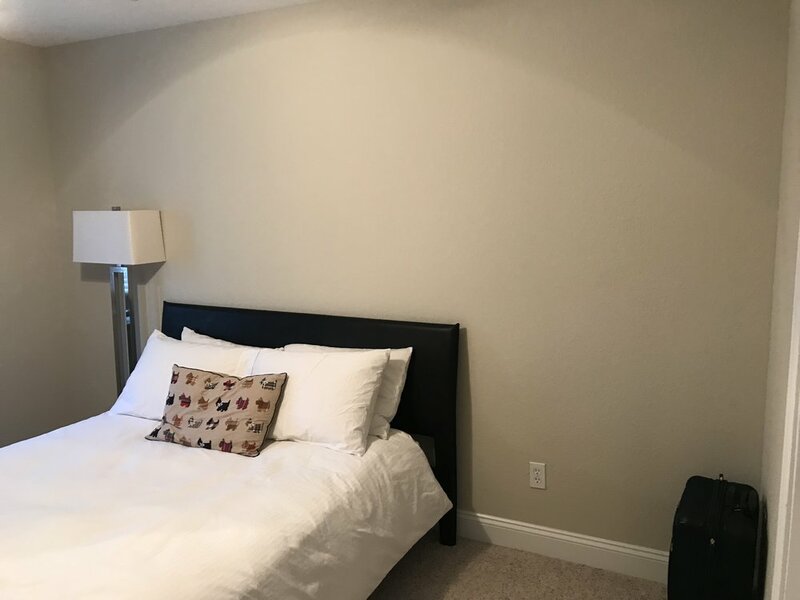 We ask the client to be gone so we can get to work; placing the furniture, hanging the window treatments, dressing the bed and placing all the accessories in the perfect spot. We take care of everything. Here are the final results of all our work and let me leave you with this…our client spent less than two hours with me. 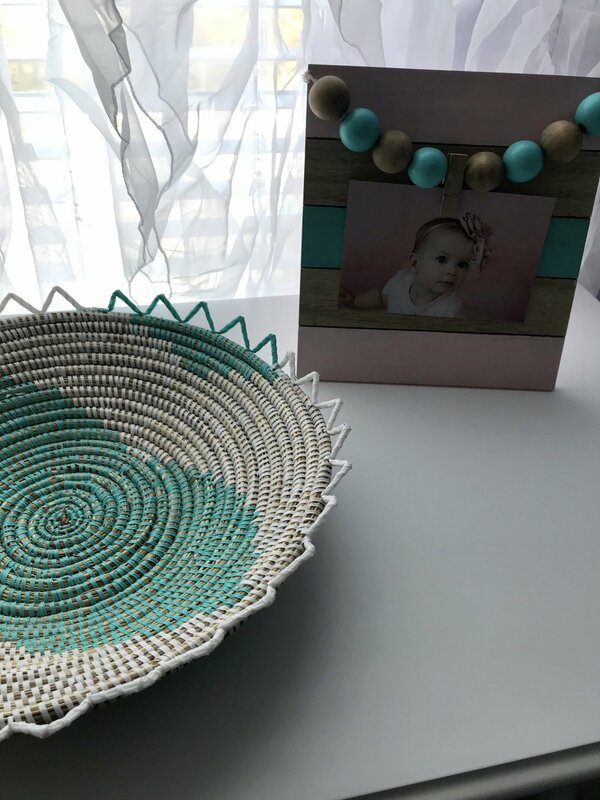 She’s a super busy mom (and physician) and having someone to handle this project for her was why she hired Jennifer Taylor Design.